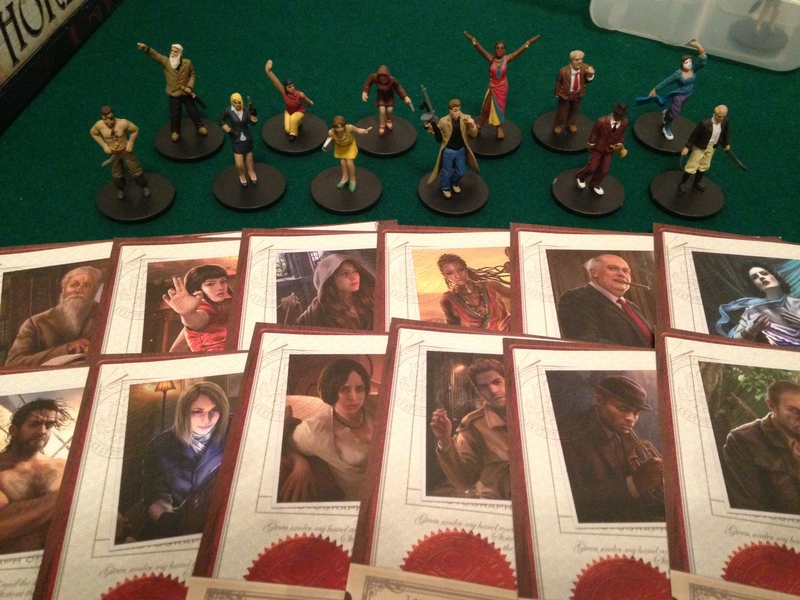 The twelve new investigators in Eldritch Horror are some of the many investigators in the expansions of Arkham Horror, and we have all the investigator miniatures, so I got them out to use in EH. Norman Withers (astronomer), Lily Chen (martial artist), Diana Stanley (reformed cultist), Akachi Onyele (shaman), Charlie Kane (politician), Lola Hayes (Actress). Silas Marsh (sailor), Trish Scarborough (spy), Jaqueline Fine (psychic), Mark Harrigan (soldier), Jim Culver( musician), Leo Anderson (expedition leader). Posted in Blog Posts and tagged Eldritch Horror on December 23, 2013 by Tim.